Wireless broadband at up to 40Mbps will soon be available to most of Japan after Intel announced an investment of $43 million (£26 million) in the first nationwide WiMax project there. 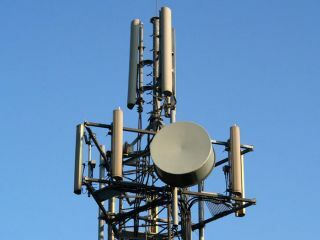 The money will be used by UQ Communications to promote and build out its WiMax network to 90 per cent of the population by 2012. Currently, it covers only Tokyo and a few neighbouring areas. With speeds up to 40Mbps, the UQ network is the fastest WiMax network presently operating on such a large scale. The company plans to charge users ¥4,480 (£28) a month for unlimited internet access or ¥600 (¥3.70) for a day pass. Better yet for Japan's net users, UQ and Intel have already inked deals with several PC makers to offer computers with onboard WiMax modules already in place. So far, NEC, Sony, Toshiba and Panasonic are among the heavy hitters signing up for what appears to be a wireless technology with a very bright future. Intel executive Arvind Sodhani emphasised the firm's investment as clearly forward-thinking: "UQ's WiMax deployment in Japan is a spectacular example of technology innovation being put to work."